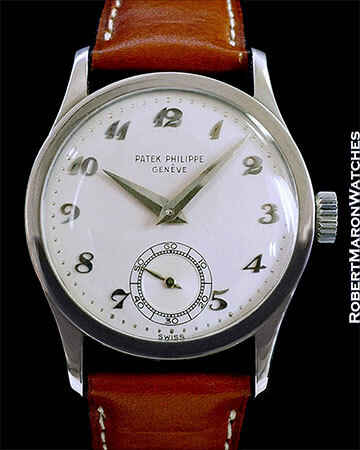 Wow, a Patek 96 in 18k white gold…! Only a handful are known to exist; nine is the number believed to be TOTAL production in white gold. So, “Rare” is an understatement to be sure. The reference 96 is nothing more and nothing less than the perfect wristwatch. In its simplicity lies its beauty. 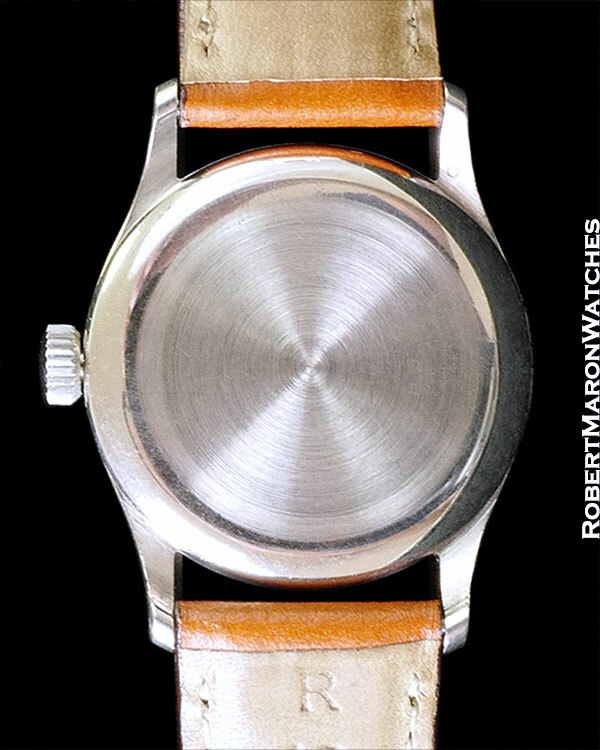 Case is solid 18k white gold with visible hallmarks, three-piece case with alternating brushed and polished surfaces. 31mm diameter. Acrylic crystal. White gold snap case back. 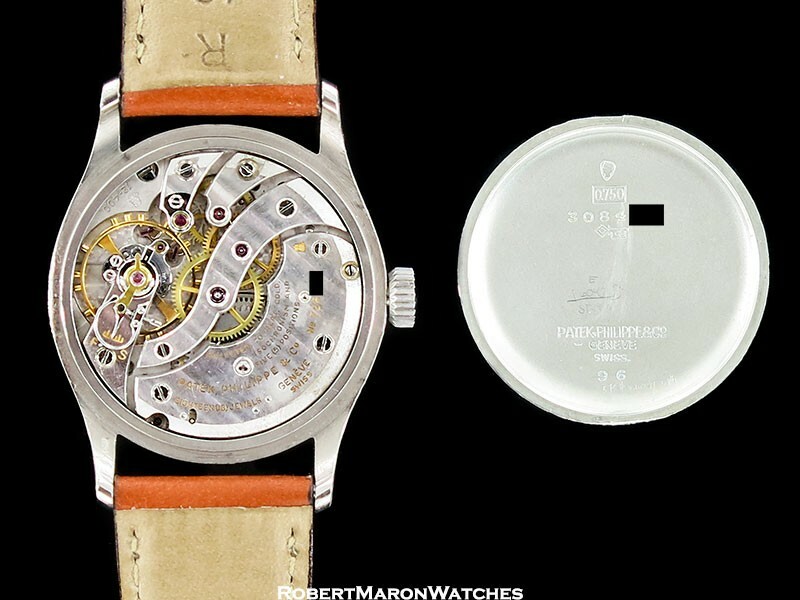 Original untouched silver dial with applied Breguet numerals and original white gold dauphine hands and embossed minutes and seconds chapter. Subsidiary seconds dial. Patek Philippe manual winding Caliber 12-400 which is clean and running. 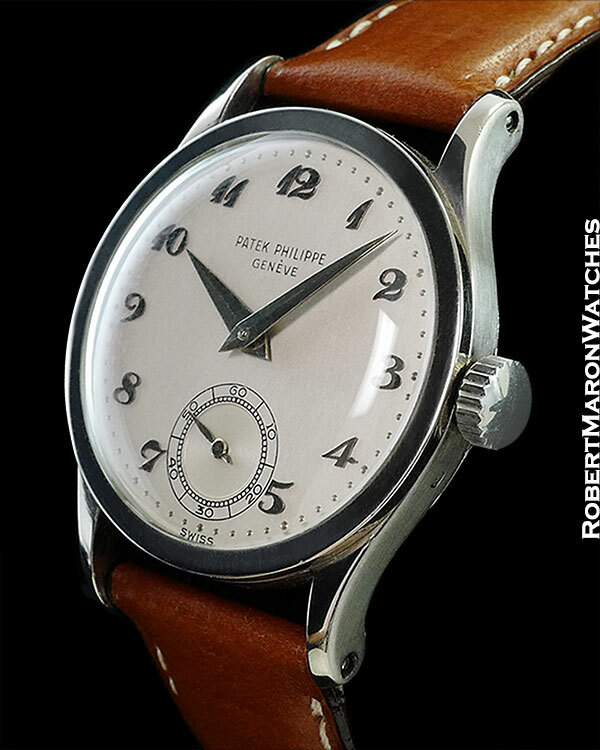 Watch is on new calf leather strap with steel buckle and will be delivered with Extract from the Archives showing 1955 as the year of manufacture and April 1957 as the date of original retail sale.